TOMORROW I WILL BE POSTING MY NEW AMORE REWARDS PROGRAM DETAILS STARTING TOMORROW!!! Today is a bit different than usual because I already posted my video for today Friday by mistake. 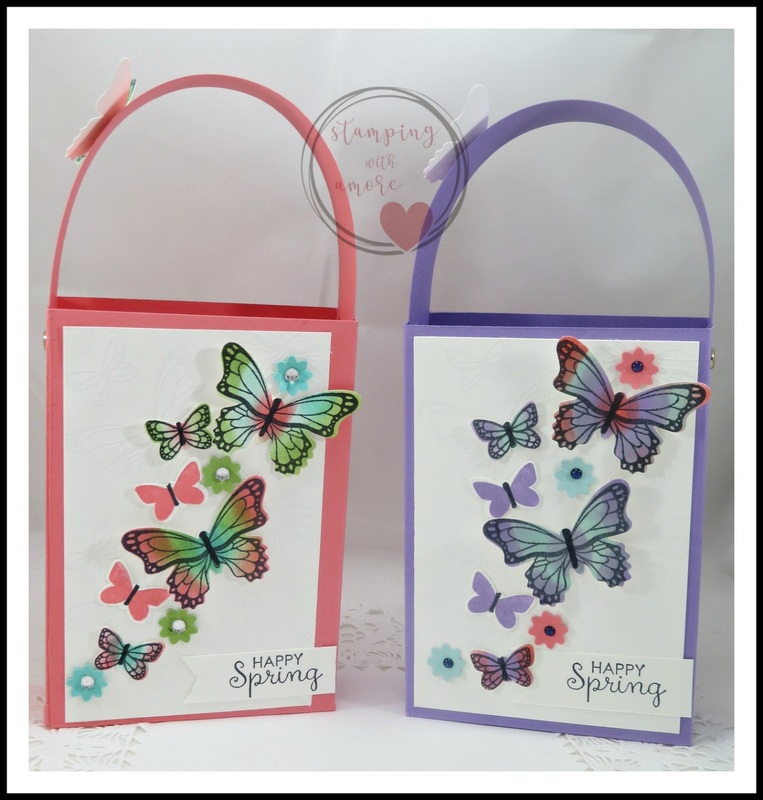 Here is a link to the Butterfly Box if you haven't seen it yet. It's one of my favorites. This is a very simple box construction, but this box brings so much joy to my face. I love these butterflies. Also if you have been waiting for the Butterfly Gala Stamp set, IT'S BACK!!! I wish the White emboss showed up more on this white background, but it's always so hard to capture the white emboss in a picture or video. DOWNLOAD SPRINGTIME BUTTERFLY BOX PROJECT SHEET HERE! I'm also posting My Facebook Live from Thursday here today, I hope you all come visit me on Thursdays, NOW at 6:30 Central time on Thursday's. I don't always get to post the video, so your missing out on some cute 3 d projects I share there. DOWNLOAD GLAD WE'RE FRIENDS PROJECT SHEET HERE!